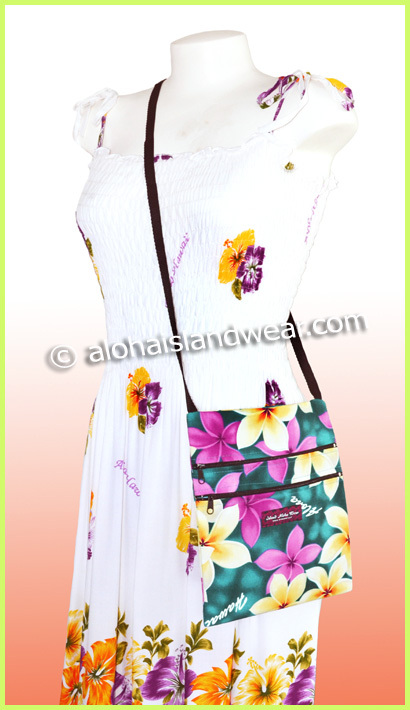 This beautiful Hawaiian floral printed cross-body shoulder bag is designed with a long black strap for wear over the shoulder, this bag contains three pockets for carry personal items, this bag is great to use as a travel bag (secure your passport, money, mobile-phone, personal document, cosmetics items...), it also can be used as Ipad mini or any similar size of tablet carry bag. 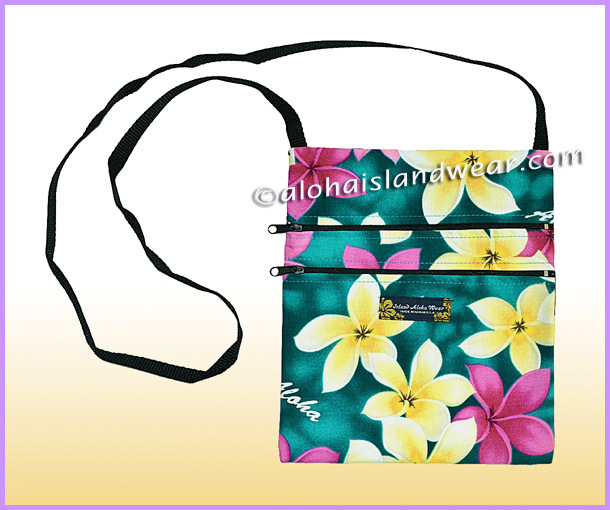 - Two front pockets with zippers and one open pocket on the other side. - Strap drop 23" length with 1/2" width black strap. 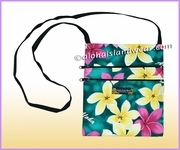 - Bag dimension: 8 1/2" width X 10" height.